As Maine's tourism industry continues to garner attention and get increasingly contemporary treatment in branding and advertising, The Maine Highlands tasked Might & Main with revitalizing their biennial tourist guidebook. The Highlands area covers a huge swath of the center of Maine, containing some of the most compelling outdoor adventures in Maine — from the Penobscot River to Mount Katahdin. 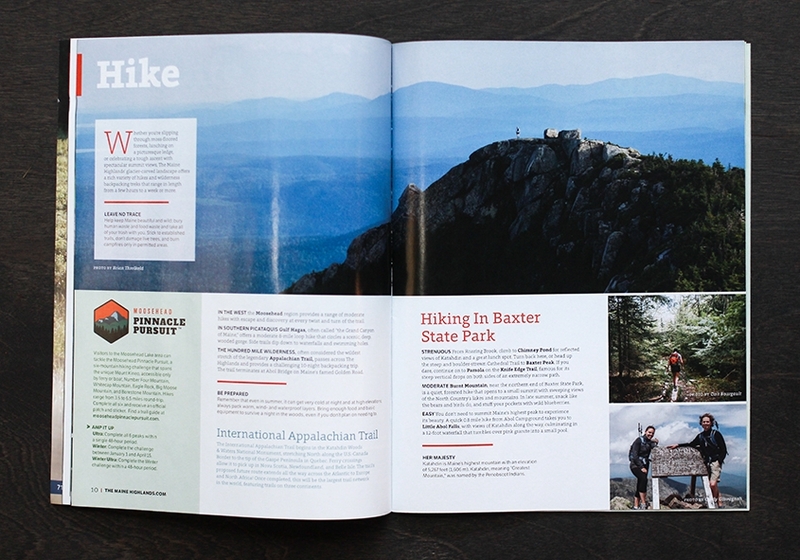 With a complete redesign and rewrite of the Maine Highlands' 36-page magazine, we helped the region stand alongside the most popular tourism destinations in the state and created a tool to promote the area's unique offerings nationally.